Treat yourself, or someone you really like, to a 10 oz. 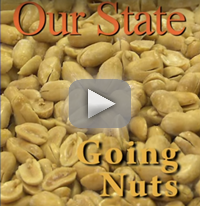 jar of our Blister-Fried Peanuts, and our 9 oz. jars of Chocolate- Covered and Butterscotch Peanuts. If that weren't enough, this sampler also includes a 9 oz. jar of Peanut Brittle and 2 lb. bags each of our Roasted Salted and Hot and Spicy Peanuts! 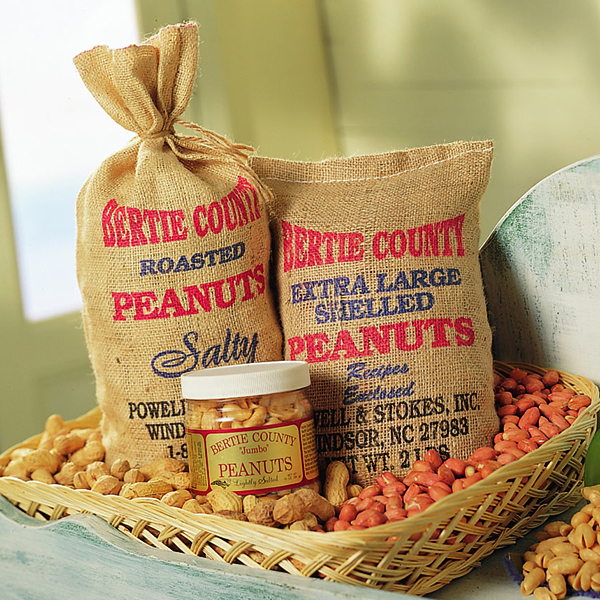 Everything comes in a handy, reusable wicker tray so that you'll remember us long after the peanuts are gone. I first received Bertie peanuts as a gift from someone else. 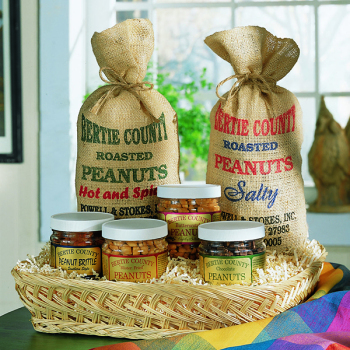 I love them and now they are my go-to trusted and tasty source for when I send gift baskets. 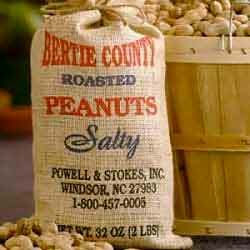 Bertie County peanuts are simply the best anywhere. My favorite are the blister fried both plain and seasoned. They have become a regular staple in our house.